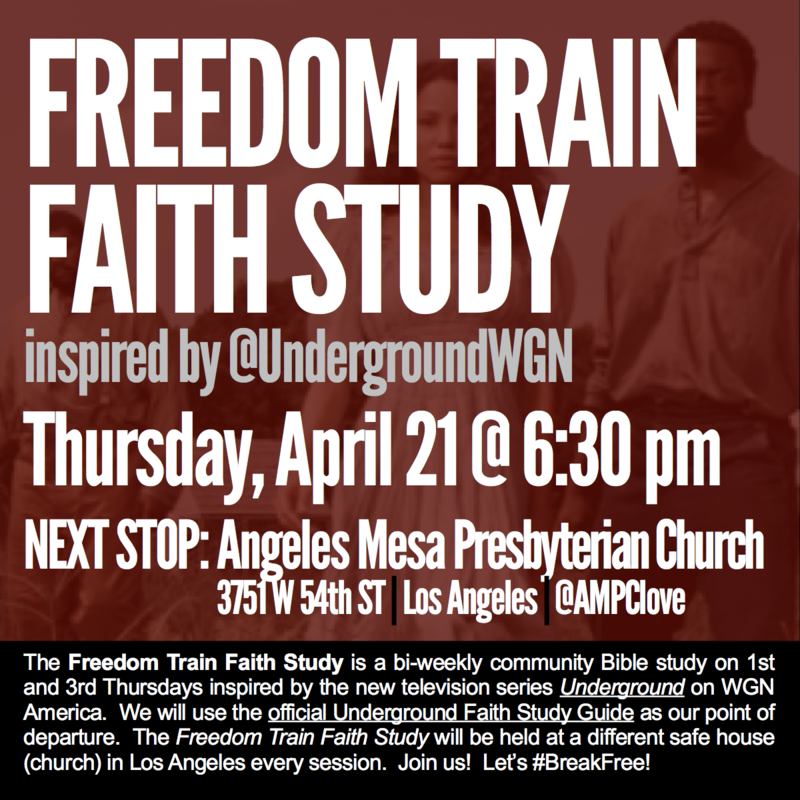 The Freedom Train Faith Study (#FreedomTrainLA) is a bi-weekly community Bible study starting March 31, 2016. The study is based on themes from the new television show Underground on WGN America and will use the official Underground Faith Study Guide as our point of departure! From the Executive Producer and music mogul John Legend, Underground is a thrilling series that highlights an underexamined moment in American history. It is an atypical, modern retelling of the Underground Railroad, an organized network of secret routes and safe houses for runaway slaves to escape to freedom. On the show, a group of enslaved people flee 600 miles from a Georgia plantation to freedom with the help of abolitionists along the way. The #FreedomTrainLA will be held at a different safe house (church) every session! Go online to REBIRTHlive.net/BreakFree for more info. People get ready! Let’s break free! Watch Underground on WGN America on Wednesday nights at 10:00 pm. Stream episodes online if you missed it! Read the Underground Faith Study Guide for episode 6 online here.